Give your child the educational edge they need with tutoring that works! Let our team of highly-qualified tutors ensure academic success! 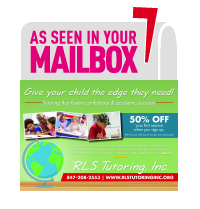 RLS Tutoring offers in-home tutoring services with a team of tutors who specialize in various fields of education. 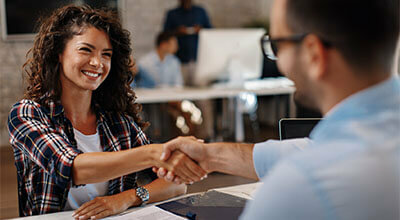 When we meet with you, we make sure to match the right tutor with each student, to create a successful team for learning. It only takes three short steps to get your child on the path to confidence & achievement! The first step is to schedule a meet and greet so that we can get to know you and your child a bit. Our mission to be sure your child’s tutor fits their needs, goals and personalities to optimize learning. Call us at 847-208-2553 to schedule! We’ll work with you to decide a good time to come to your home for you and your children. We believe children learn best where they are most comfortable. We’ll schedule a regular session that will work best for you. Your child will be in good hands, and we do everything we can to not interfere with the rest of the household or your busy schedule. You’ll know your child is moving ahead academically with sureness and certainty. Ready to get started? Call us at 847-208-2553 to schedule! Click Here to learn about our founder! "Weekly tutoring sessions with RLS Tutoring has given our sixth grader more confidence in terms of organization, preparedness and having a true understanding of the current materials that are being covered in all subjects. We didn't know what to expect when we started this tutoring program last school year. The sessions - including summer tutoring - have exceeded our expectations in all ways. I have listened in on a few of the sessions and I can honestly say, our RLS Tutor / Mrs. Biegalski is really engaging my son and helping him understand very important concepts. I know he's better prepared each week as a result." "Kathy Biegalski is a "hands on educator" who is always available to her students. I am impressed by her thorough and compassionate teaching style. She is tutoring both of my children. They are both on honor roll this semester and we are all thrilled!" Or High School Placement Test Practice? Click Below!